Stephen is Managing Partner of Polczynski Lawyers and widely experienced in commercial disputes, corporate advisory, insolvency and restructuring and advising in relation to sophisticated commercial insurance products. He has more than 25 years’ legal experience. 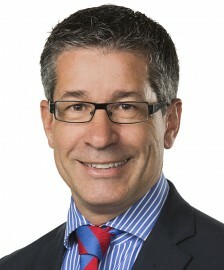 His advice is highly regarded by insolvency practitioners who engage Polczynski Lawyers in relation to complex commercial disputes, securities advice and the realisation of assets. He advises on significant Australian and international corporate failures and acts for Australian and international insurers, reinsurers, brokers and insureds in relation to all aspects of trade credit insurance where he is recognised as a leading lawyer in this area in Australia. He also has considerable expertise in advising in relation to performance guarantees, surety bonds and deposit bonds. Stephen has acted in significant construction disputes, trust disputes, anti-trust disputes, actions against company directors for breach of duties, intellectual property disputes as well as having acted in significant commercial transaction work. He has a reputation for assisting clients with commercial outcomes and is one of the very few lawyers in Australia with significant experience and expertise in both the insolvency and insurance fields.